Question: Is There A Hair Loss Cure? One of the most searched questions on the internet. In a billion-dollar worldwide industry, there are many claims. Lotions and potions and pills to help cure hair loss promising healthier stronger hair growth. There are many causes and hair loss conditions that effect men and women. The most common reason for hair loss is hereditary causes. Genetically handed down by family members. Male and female pattern hair loss is progressive and slow. If successfully treated and early enough the visible signs of hair loss can be minimal. The positive result of hair growth requires the ongoing use of treatment. There is no cure for genetic hair loss. As a result of research, treatment and surgical hair restoration can be effective in maintaining and restoring hair growth. Not all hair grows at the same time. As a result, approximately 10% is in a resting phase. On average there are 100,000 – 150,000 follicles on the scalp. If there are fewer than 90,000 hairs on the scalp, the hair density is considered thin. Hair loss can be reversed. This can occur with or without the use of medical or any other treatments. An example of this is the hair loss condition alopecia areata. An autoimmune disorder that causes random patches of hair loss over the scalp. On occasion, these patches can regrow. Other hair loss conditions such as traction and chemotherapy can also regrow. A full hair loss consultation can help to isolate the hair loss cause. 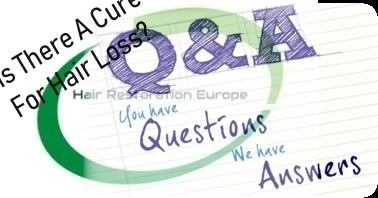 Just because there is no cure for hair loss does not mean it cannot be treated.